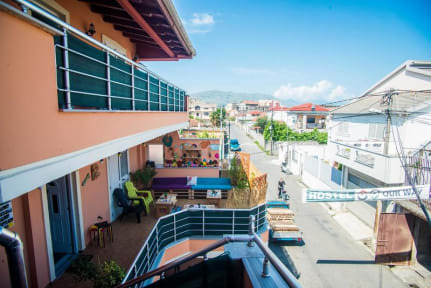 Our Way Hostel i Shkoder, Albania: Bestill nå! Recently we transformed a newly build ed house into a modern time hostel. It a perfect place to rest, chill and meet new people on the way to visit Albania and the Balkans. It will provide you all the travel commodities and as well detailed info to visit the city and nearby locations. The hostel is near the city main cathedral, Saint Stephens, it has plenty of shops, restaurants and bars around it. It is a key point to start exploring the city. 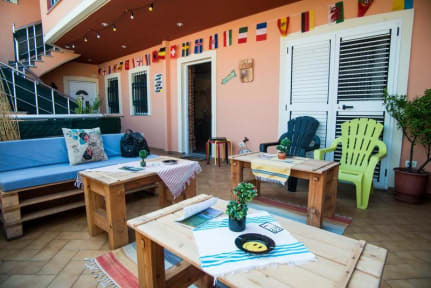 Our Way Hostel has three separate floors each equipped with common areas, kitchen, bedrooms, bathrooms and balconies. We tend to offer every possible service that can help the tourist to make the accommodation as feasible as possible as long as they are in Shkodra and Albania. Check in/out anytime between 07:00 to 23:00. Reception is open from 7:00 till 23:00. Super nice hostel! Great location, clean and cozy, with friendly and helpful staff. I absolutely recommend it to anyone visiting shkoder.